Remove the inside high mount stop lamp. Refer to High Mount Stop Lamp Replacement. Access the rear window washer nozzle through the hole in behind the high mounted stop lamp. Disconnect the washer hose from the spout. Pinch the two tabs on the rear window washer nozzle and push the nozzle up through the liftgate hole. 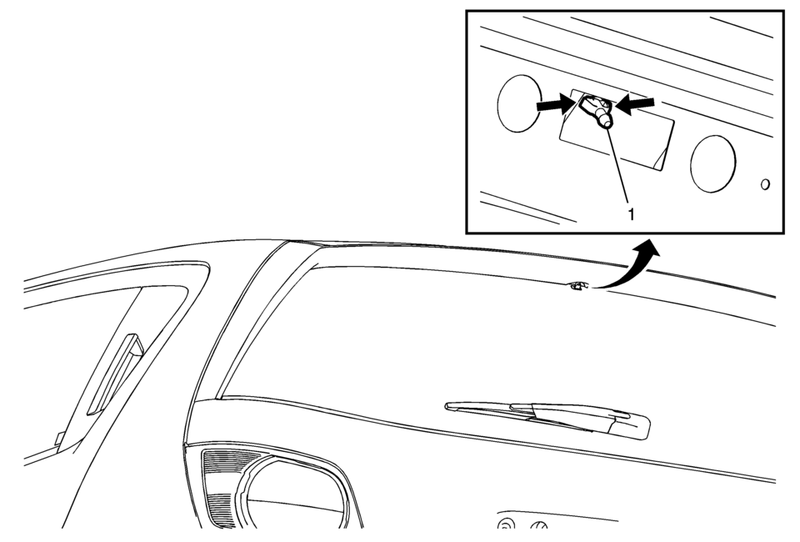 Remove the rear window washer nozzle from the vehicle.